After enduring a relentless, ice-age style winter, I am back to work on the CNC project with renewed determination. 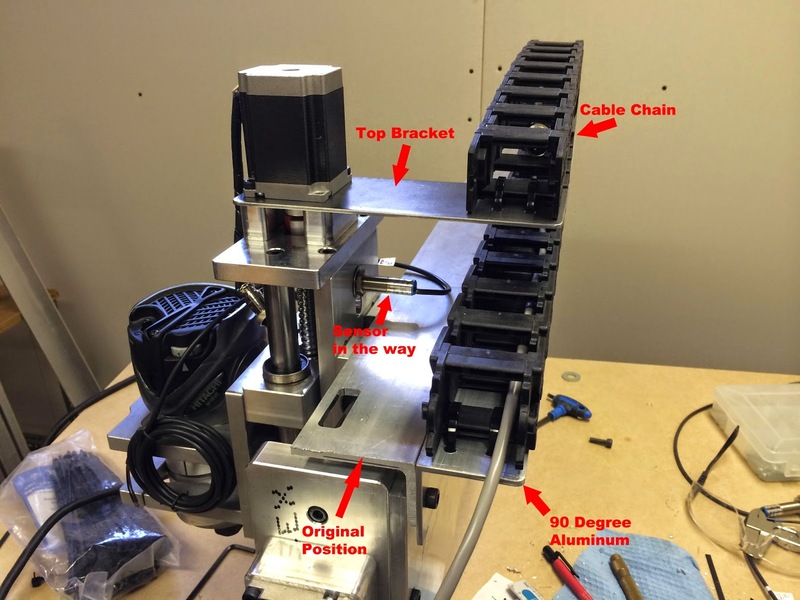 Things were progressing smoothly until it came time to mount the proximity sensor on the Z-Axis. I had originally run the Y-Axis cable chain across the top of the Y-Axis. Unfortunately, this left no room for any of the sensors which protrude a good inch from the rear of the Z-Axis. As mentioned in earlier articles, when you choose to assemble a CNC machine yourself, you may need to overcome these types of problems. Be prepared for some creative thinking and on the spot engineering. After some thought, I finally came up with a solution. By adding a piece of 90 degree aluminum to the back of the Y-axis, I could move the cable chain back to give clearance to the sensors. Now I needed to connect the top of the Cable Chain to the Z-Axis. 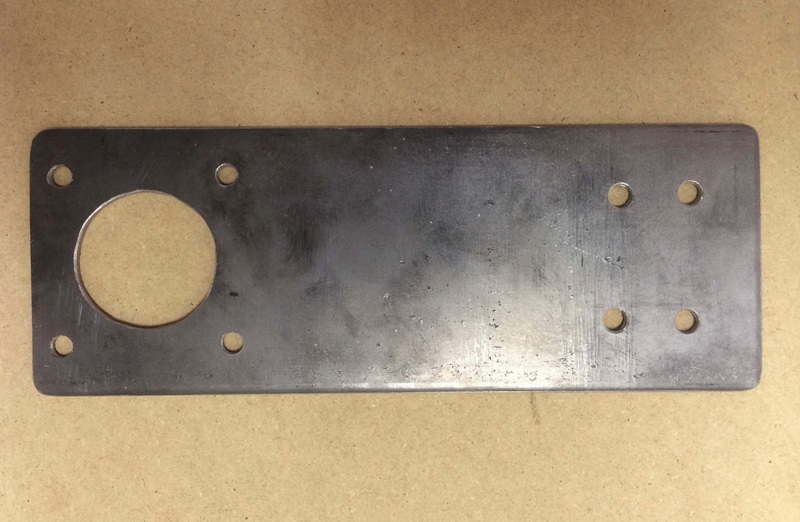 I cut a piece of weld steel plate that reached from the motor mount to the new position of the chain. 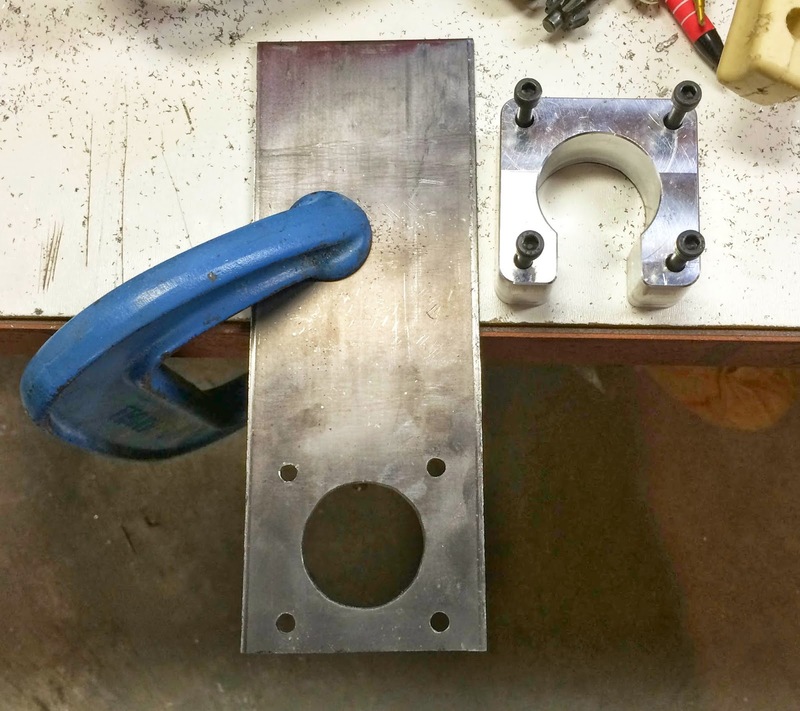 Using the motor bracket as a template, I drilled and filed the piece to fit between the motor and motor mount. Finally, I drilled four holes near the end of new piece so I could attach the Cable Chain with Zip Ties. Now, everything has room to move. On to the next challenge!